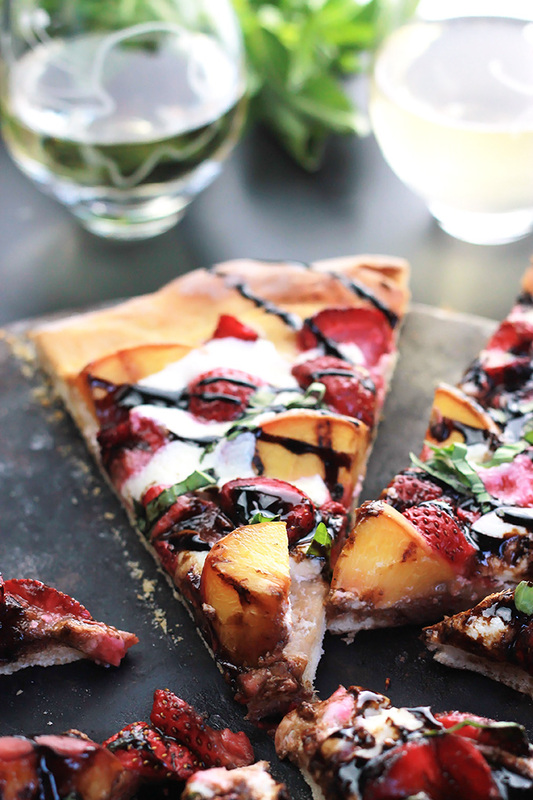 Sweet strawberries, grilled peaches and burrata cheese make this Peachy Strawberry Pizza one you’ll want to make over and over . There have been lots of salad and pizza on my summer menu this year. I think one of the best ways to enjoy beautiful produce is the on a salad or pizza. Some days I wake up knowing it’s a pizza day and I can quickly mix the dough, allowing time for it to ride. But on the days when it’s a last-minute decision, I’m glad I can purchase pizza dough from my local pizza shop or buy it from the grocery. Today I’m sharing a pizza that is fast becoming one of my favorites, but I eat it sparingly because of the cholesterol, this isn’t your traditional cheese pizza. 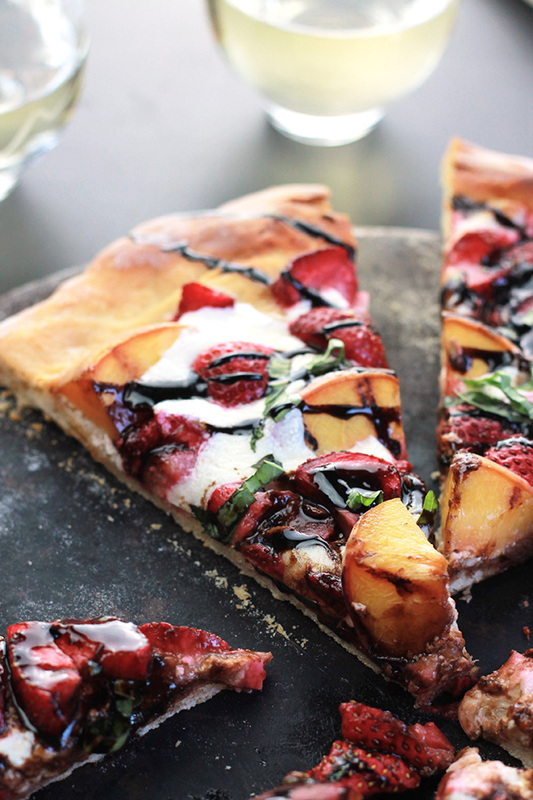 This pizza is filled with juicy fruit and soft, creamy, melty cheese. For all you grillers you can totally make this pizza on your grill. Check out The Kitchn for some great pizza grilling tips. 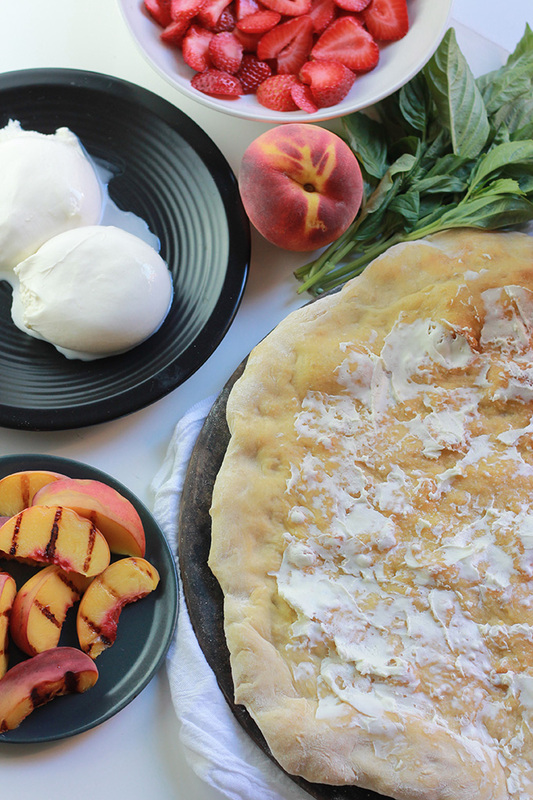 Something magical happens when sweet strawberries and juicy peaches are paired with creamy goat and burrata cheese. A sprinkling of basil and drizzle of Blueberry Balsamic Glaze takes it to the next level on the delicious scale. If peaches and strawberries aren’t your thing, you can easily switch them out for the fruit of your choice. Preheat oven to 400 degrees. Prepare pizza stone or grease a large baking sheet with olive oil if not using a pizza stone. Place dough on a lightly floured surface and roll to a thin layer, about 10 to 12 inch circle. Transfer dough to pizza stone or prepared pan and brush with the olive oil. Bake until dough starts to brown, just slightly. While dough is baking grill the sliced peaches on a stove-top or outdoor grill. 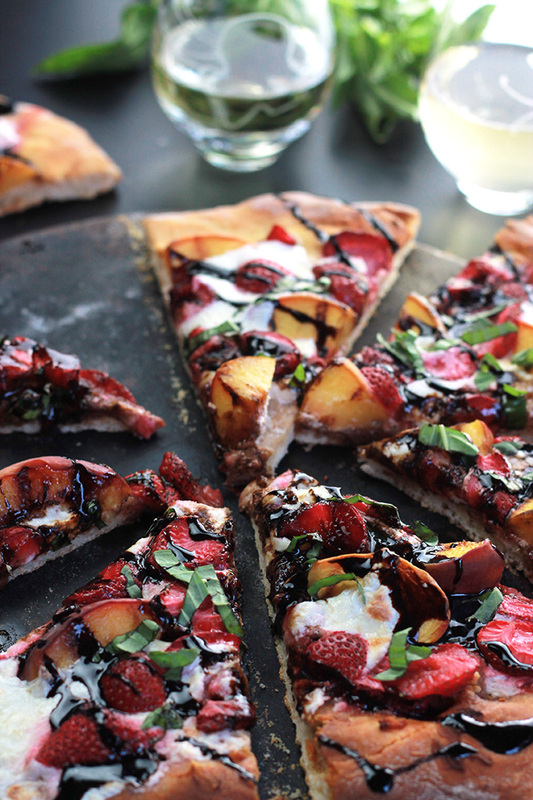 When dough has cooled a bit spread with goat cheese, add the grilled peaches, sliced strawberries. Slice the burrata and place on pizza, bake until cheese has melted, about 15 minutes. 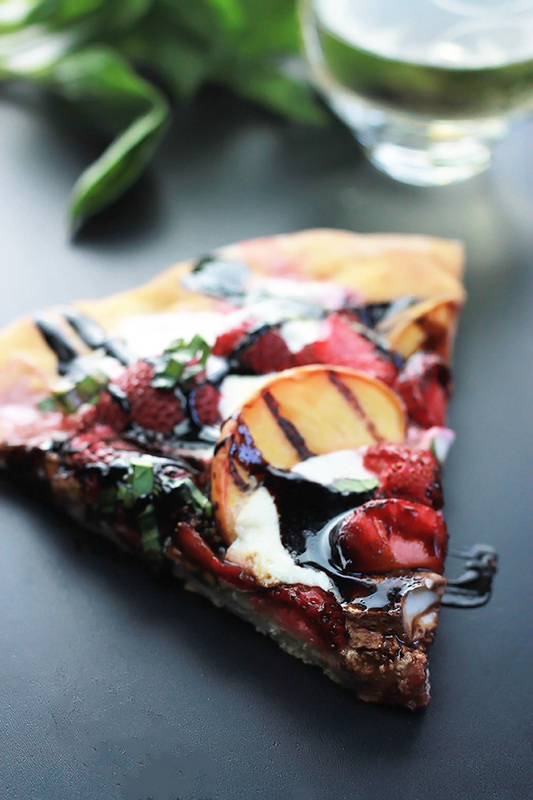 Sprinkle on the basil and drizzle with Blueberry Balsamic Glaze, slice and enjoy. If you make this recipe or a version of it, take a picture and share with me on Instagram, tag it #thewholeserving or leave a comment below. 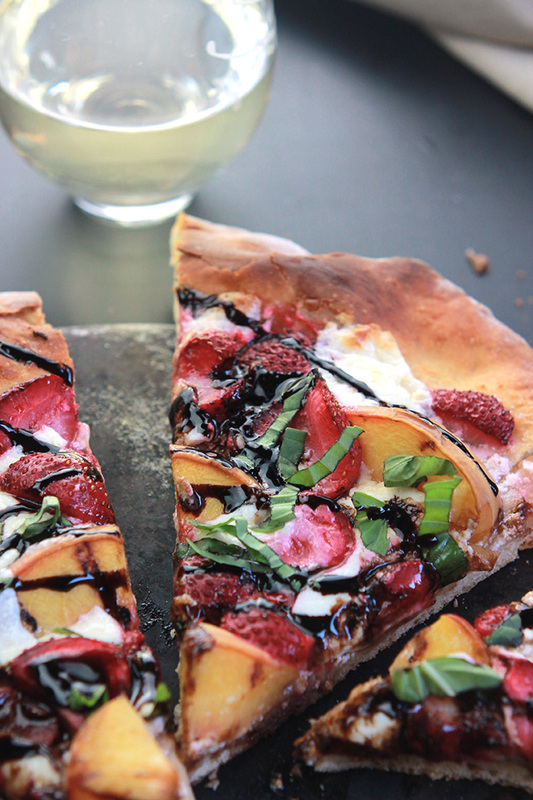 I’d love to see or hear about your version of this Peachy Strawberry Pizza. Hi Celeste, I never would have thought to put fruit other than pineapple onto a pizza! Strawberries are out of season at the moment, but I’m sure I could find some other fruit to use as a replacement. Not sure what burrata cheese is either, but can work around that too. Will be trying this just as soon as temperatures drop! Hi Debbie, You can totally use fresh Buffalo mozzarella cheese or plain mozzarella. Enjoy! Oh, it is so delicious. I made it again over the weekend and I had leftovers for dinner last night. I’m getting hungry for another slice as I type. I hope you have a chance to give it a try. Wouldn’t it be nice if we could reach into our computer and grab all the goodness. You have to try soon. OMG – your photos are gorgeous! Makes my mouth drool just thinking about those combos of flavor! Especially link the balsamic drizzle – YUM! 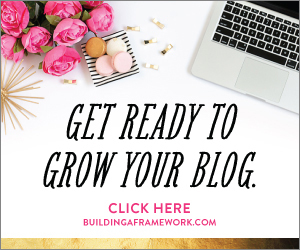 Stopping by from Create Link Inspire and pinning to Pinterest! Thank you Carole, I think the balsamic is what takes this pizza over the top. Hopefully you can try it soon. This looks so tasty!! I love the balsamic glaze! All those delicious flavors! I definitely want to put this on my ‘to-try’ list! Alaina the flavors come together beautifully, you must try this soon. That’s great way to describe it. Have fun with it Julianna. I love pizza, and it’s many variations. 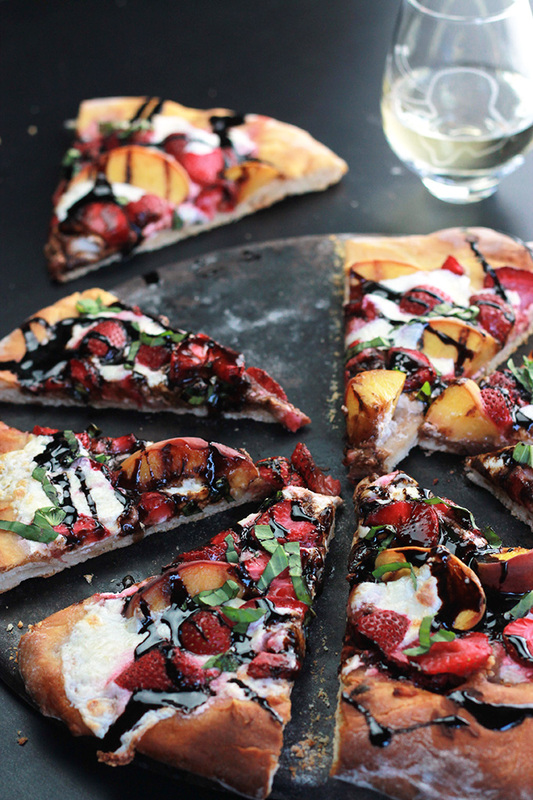 But I’ve never tried fruit on pizza unless it was for dessert. This looks incredible. It is so visually appealing it makes my stomach growl! We haven’t tried grilling peaches but my Master Grilling husband brought it up recently. I was shocked since he isn’t a huge fan of fruit! But now that the idea is in his head I’m thinking that your pizza would be the perfect recipient of his hard work! YUM! Do you deliver? Looks soooooo good. 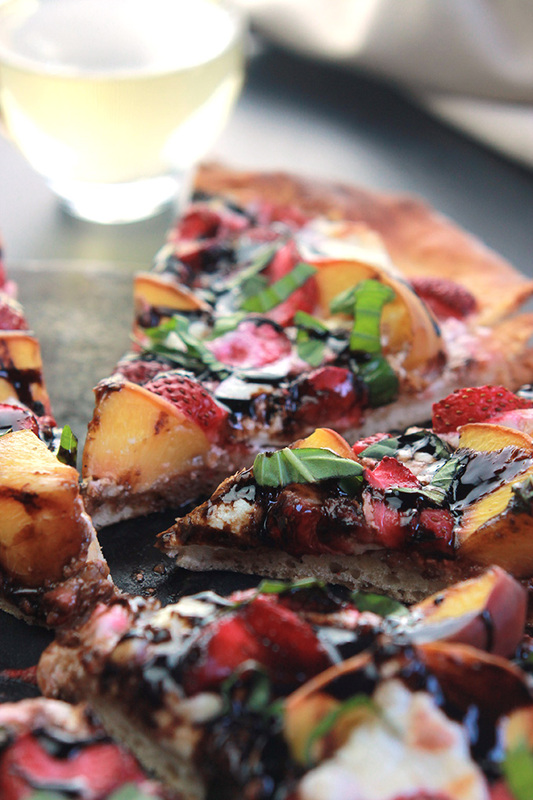 That balsamic is calling me! ???? This looks incredible! Thanks for sharing on the What’s for Dinner link up – and don’t forget to leave a comment at the party! If you post gets featured, a comment gets it pinned and tweeted too! What a fantastic flavor combo! It is a nice combo and I love how hearty this pizza is when the Burrata is added. This looks incredible! I can’t wait to try this! With all of my favorite ingredients in one slice, who can resist this tasty delight? 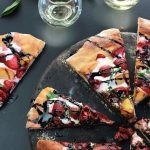 We’re so glad you shared this healthy and delicious Peachy Strawberry Pizza recipe on the Healthy, Happy, Green and Natural Party Blog Hop. I’m Pinning and sharing! Thank you Deborah I’m glad you like it. It’s a very tasty pizza and I hope you have a chance to try it soon. Oh wow! This recipe is just beautiful. I am Pinning it and will be making. How creative! Pamela I’m so glad you like this and I hope you love it as much as we do in my home. Your pictures are gorgeous. I’m not sure about the cheese and fruit comb for me personally, but it does look pretty! Thanks for sharing on Family Joy Blog Link-up. Please come back and join us again! Thanks Charlotte, I like savory & sweet combos, this pizza satisfies the craving for me. 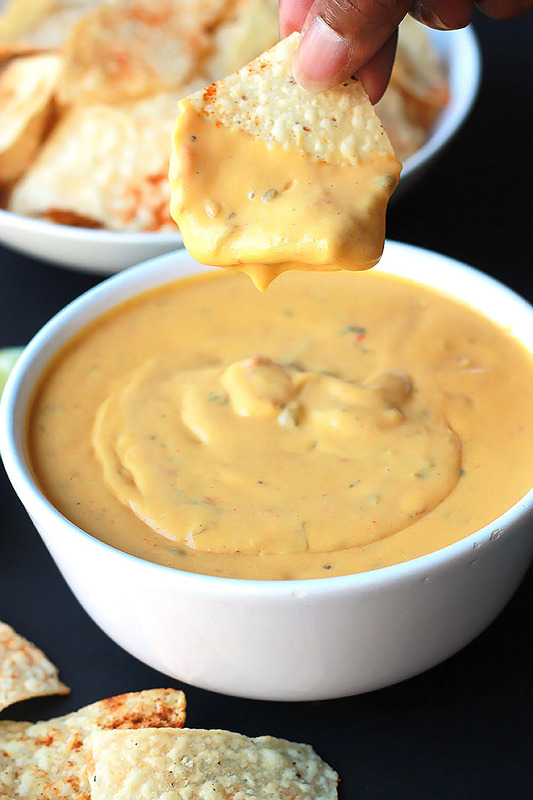 It works best here if the cheese is not to overpowering. Celeste, this recipe is so unusual and looks so good. Not only did I pin it to the Over the Moon Link Party board, but I posted it to my personal board as well. That is why you are my choice for Featured Blogger coming up this week. Come on over some time between Sunday evening and Thursday evening to grab your Featured Blogger button. Congratulations! Thanks Sandy, I’m glad you like it. I know some people can’t imagine this combo together, but it is so delicious. Celeste – this looks SO GOOD! I have never hear of Burrata cheese. Congratulations on being featured on #overthemoon! Thanks for linking with us! Thanks Cathy, Burrata is a trending cheese at the moment. It’s mozzarella cheese on the outside filled with cream on the inside. Wow, that’s an unexpected combo! Thanks for stopping by Mila.